3D action recognition - analysis of human actions based on 3D skeleton data - becomes popular recently due to its succinctness, robustness, and view-invariant representation. 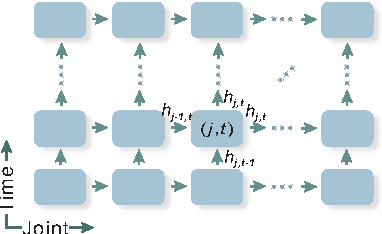 Recent attempts on this problem suggested to develop RNN-based learning methods to model the contextual dependency in the temporal domain. In this paper, we extend this idea to spatio-temporal domains to analyze the hidden sources of action-related information within the input data over both domains concurrently. Inspired by the graphical structure of the human skeleton, we further propose a more powerful tree-structure based traversal method. 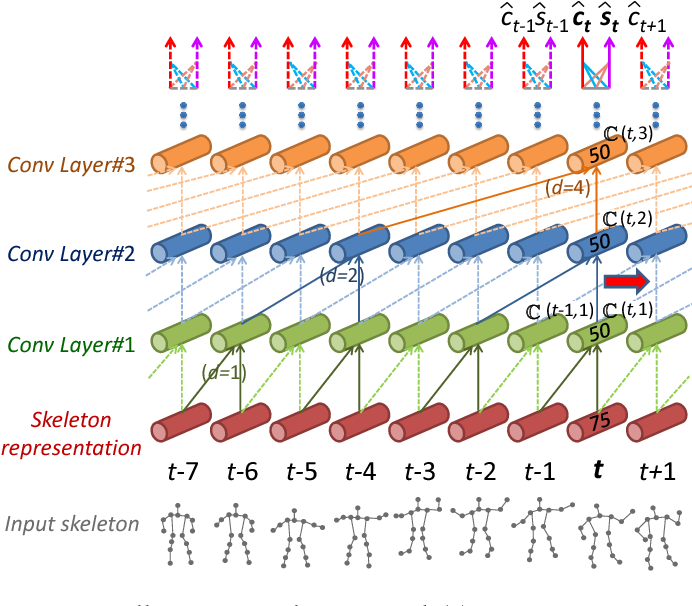 To handle the noise and occlusion in 3D skeleton data, we introduce new gating mechanism within LSTM to learn the reliability of the sequential input data and accordingly adjust its effect on updating the long-term context information stored in the memory cell. Our method achieves state-of-the-art performance on 4 challenging benchmark datasets for 3D human action analysis. Single modality action recognition on RGB or depth sequences has been extensively explored recently. It is generally accepted that each of these two modalities has different strengths and limitations for the task of action recognition. Therefore, analysis of the RGB+D videos can help us to better study the complementary properties of these two types of modalities and achieve higher levels of performance. 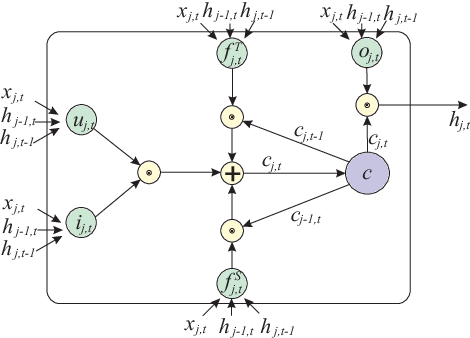 In this paper, we propose a new deep autoencoder based shared-specific feature factorization network to separate input multimodal signals into a hierarchy of components. 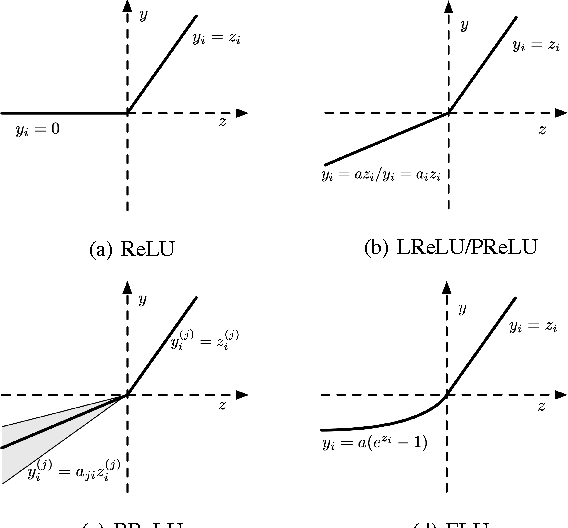 Further, based on the structure of the features, a structured sparsity learning machine is proposed which utilizes mixed norms to apply regularization within components and group selection between them for better classification performance. 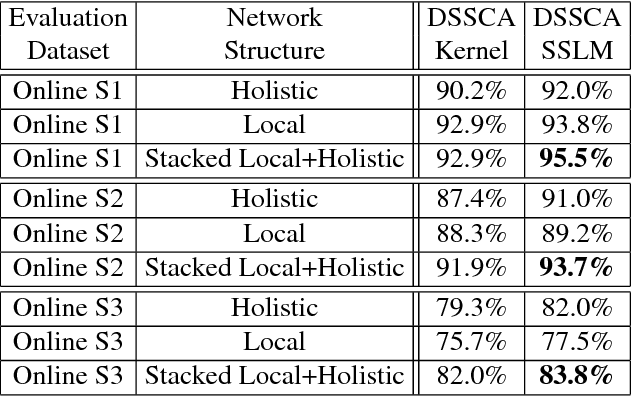 Our experimental results show the effectiveness of our cross-modality feature analysis framework by achieving state-of-the-art accuracy for action classification on five challenging benchmark datasets. Recent approaches in depth-based human activity analysis achieved outstanding performance and proved the effectiveness of 3D representation for classification of action classes. Currently available depth-based and RGB+D-based action recognition benchmarks have a number of limitations, including the lack of training samples, distinct class labels, camera views and variety of subjects. In this paper we introduce a large-scale dataset for RGB+D human action recognition with more than 56 thousand video samples and 4 million frames, collected from 40 distinct subjects. Our dataset contains 60 different action classes including daily, mutual, and health-related actions. In addition, we propose a new recurrent neural network structure to model the long-term temporal correlation of the features for each body part, and utilize them for better action classification. Experimental results show the advantages of applying deep learning methods over state-of-the-art hand-crafted features on the suggested cross-subject and cross-view evaluation criteria for our dataset. The introduction of this large scale dataset will enable the community to apply, develop and adapt various data-hungry learning techniques for the task of depth-based and RGB+D-based human activity analysis. The articulated and complex nature of human actions makes the task of action recognition difficult. 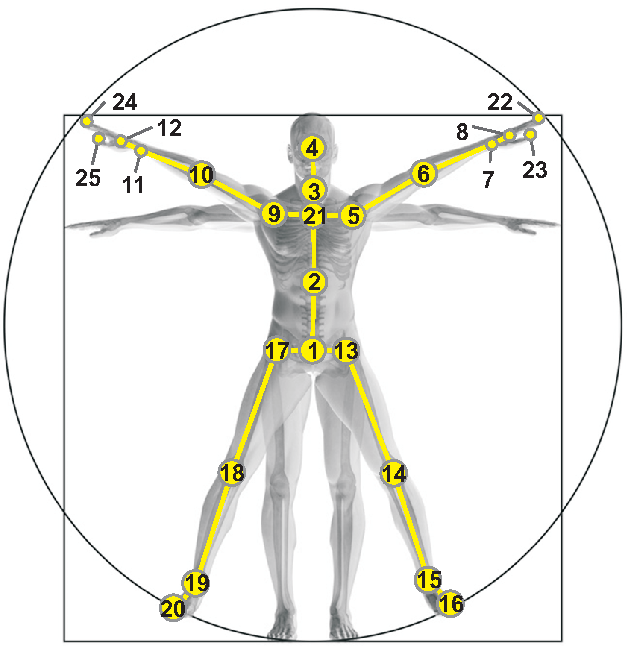 One approach to handle this complexity is dividing it to the kinetics of body parts and analyzing the actions based on these partial descriptors. We propose a joint sparse regression based learning method which utilizes the structured sparsity to model each action as a combination of multimodal features from a sparse set of body parts. To represent dynamics and appearance of parts, we employ a heterogeneous set of depth and skeleton based features. 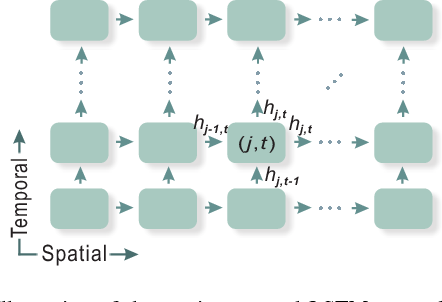 The proper structure of multimodal multipart features are formulated into the learning framework via the proposed hierarchical mixed norm, to regularize the structured features of each part and to apply sparsity between them, in favor of a group feature selection. Our experimental results expose the effectiveness of the proposed learning method in which it outperforms other methods in all three tested datasets while saturating one of them by achieving perfect accuracy. Skeleton-based human action recognition has attracted a lot of research attention during the past few years. 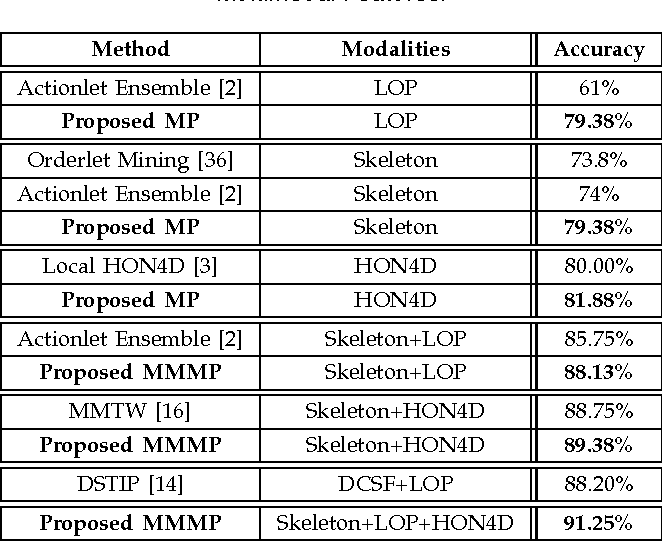 Recent works attempted to utilize recurrent neural networks to model the temporal dependencies between the 3D positional configurations of human body joints for better analysis of human activities in the skeletal data. 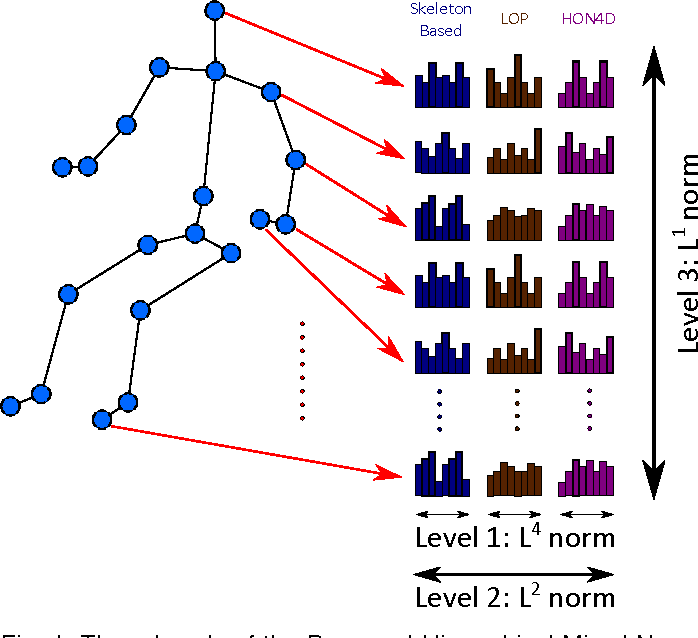 The proposed work extends this idea to spatial domain as well as temporal domain to better analyze the hidden sources of action-related information within the human skeleton sequences in both of these domains simultaneously. Based on the pictorial structure of Kinect's skeletal data, an effective tree-structure based traversal framework is also proposed. 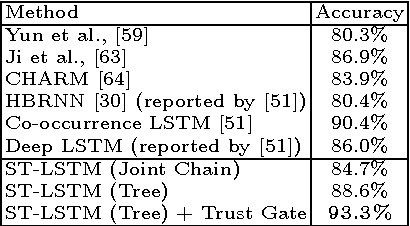 In order to deal with the noise in the skeletal data, a new gating mechanism within LSTM module is introduced, with which the network can learn the reliability of the sequential data and accordingly adjust the effect of the input data on the updating procedure of the long-term context representation stored in the unit's memory cell. Moreover, we introduce a novel multi-modal feature fusion strategy within the LSTM unit in this paper. The comprehensive experimental results on seven challenging benchmark datasets for human action recognition demonstrate the effectiveness of the proposed method. In this paper, a feature boosting network is proposed for estimating 3D hand pose and 3D body pose from a single RGB image. 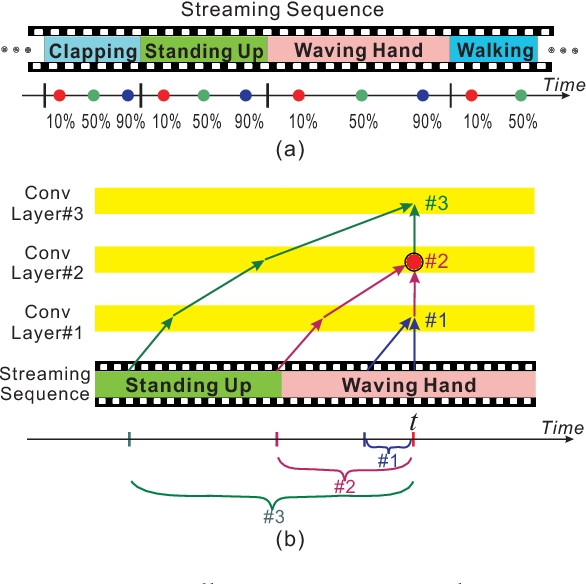 In this method, the features learned by the convolutional layers are boosted with a new long short-term dependence-aware (LSTD) module, which enables the intermediate convolutional feature maps to perceive the graphical long short-term dependency among different hand (or body) parts using the designed Graphical ConvLSTM. Learning a set of features that are reliable and discriminatively representative of the pose of a hand (or body) part is difficult due to the ambiguities, texture and illumination variation, and self-occlusion in the real application of 3D pose estimation. To improve the reliability of the features for representing each body part and enhance the LSTD module, we further introduce a context consistency gate (CCG) in this paper, with which the convolutional feature maps are modulated according to their consistency with the context representations. 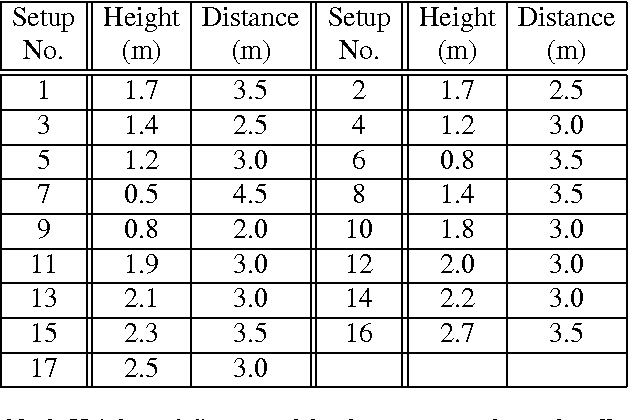 We evaluate the proposed method on challenging benchmark datasets for 3D hand pose estimation and 3D full body pose estimation. Experimental results show the effectiveness of our method that achieves state-of-the-art performance on both of the tasks.